Enter the world of #LeNôtre the collector! This painting is one of the rare portraits of Le Nôtre. It is an official portrait painted in sober tones, with a landscape forming part of the background. Le Nôtre is exalted through his position at the centre of the painting and through his bright red ribbon. It is that of the cross of the Order of Saint Lazarus and Mount Carmel. Le Nôtre was awarded this prestigious distinction by the King. 1679-1681, Palace of Versailles. Le Nôtre showed great interest in sculpture. 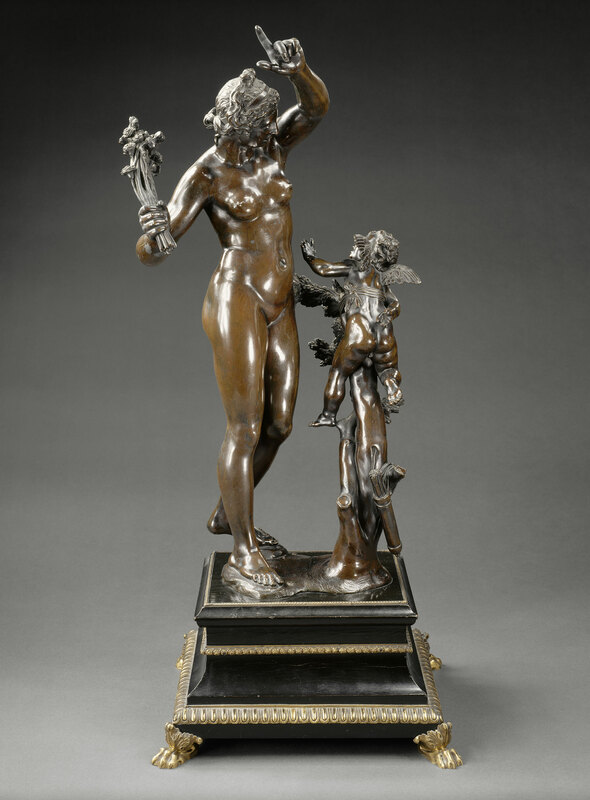 This is confirmed by his large high-quality collection of small bronze works (129 in all). Over a third of his groups and figures represent gods and heroes of Antiquity. However, he had no antiques, as he preferred the modern works of the 16th and 17th centuries. 1639, Louvre Museum, Department of Decorative Arts. 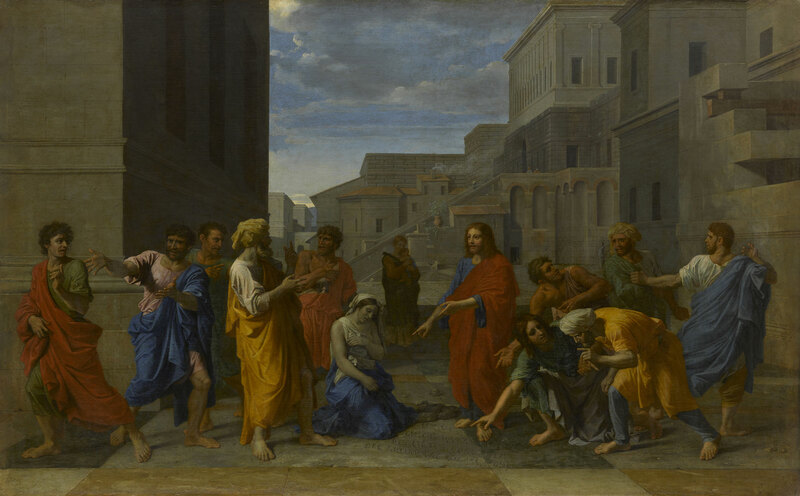 Le Nôtre commissioned Christ and the Adulteress from Nicolas Poussin in 1653. The painting represents an episode on the theme of forgiveness, in which Jesus saves the kneeling woman from stoning. This masterpiece reflects the quality of the whole collection of André Le Nôtre. The gardener got to know Poussin, the famous painter, when he was in Paris. 1653, Louvre Museum, Paintings Department. The quality of the Le Nôtre collections presented here conveys another image of the man, his interests and his social position. In the 1650s, Le Nôtre started to purchase paintings, drawings, prints, marble sculptures, bronze works and medals, most of which were contemporary artworks from the French artists he frequented, along with works from Italian, Dutch and Flemish masters. 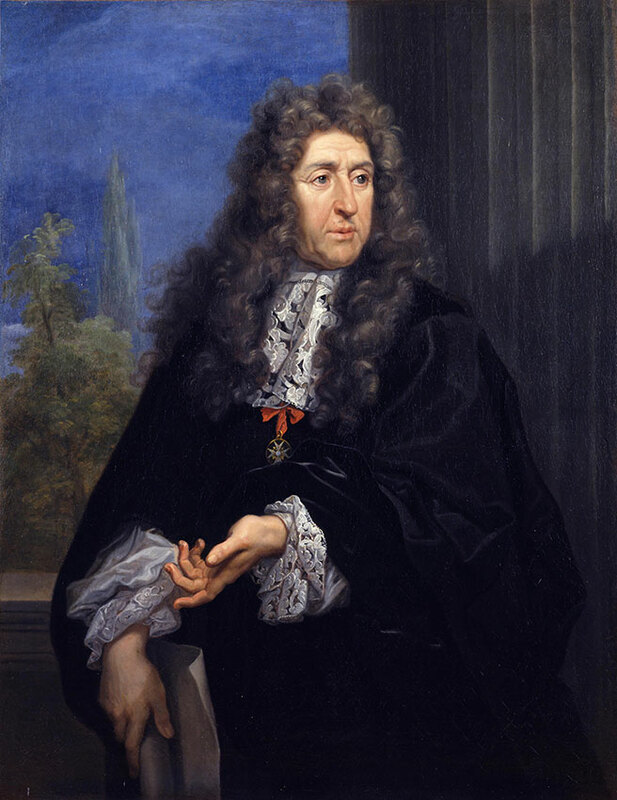 In 1693, as he had no direct heir, he gave Louis XIV the best works in his collection.